The marketing bandwagon is in full swing leading up to the theatrical release of X-Men: Apocalypse later this month, with plenty of brand new posters, exclusive clips, and big reveals regarding the next film in the X-Men franchise. Director Bryan Singer may be primed to take his leave of the lucrative comic book franchise following the premiere of his latest mutant adventure, though that doesn't necessarily mean he will end his run on a weak note. Singer has already teased die-hard fans of the future potential of the X-Men property going forward, including the possibility of a crossover with Deadpool (as produced by director Tim Miller and actor Ryan Reynolds). Despite early critical reception of Apocalypse being on the lukewarm side overall, the level of attention and hard work that has gone into bringing the production to the big screen goes without saying. The latest word from behind the scenes includes one of the biggest reveals about the new movie yet. "The one person we didn’t know was Psylocke, and the reason why is because originally in the script we sort of…I don’t know why we made this decision, but we knew that Professor X was abducted in the middle of the movie, and we thought that almost counted as a fourth Horseman. And so that’s the way we constructed the original draft of the script. There wasn’t going to be a fourth one. The ‘surprise’ was that Xavier was the fourth Horseman. And then when we were working on the script, Bryan and I at one particular point, pretty late in the process, said, ‘He’s not really a Horseman; he’s not doing anything in the third act of the movie.’"
"We started talking about who that would be, and just literally looked at the list of different Horsemen over the history of the comics, and Psylocke was the one we thought was the most intriguing. And, ironically, or as fate would have it, I had just met with Olivia Munn about Deadpool, like a week or two before. 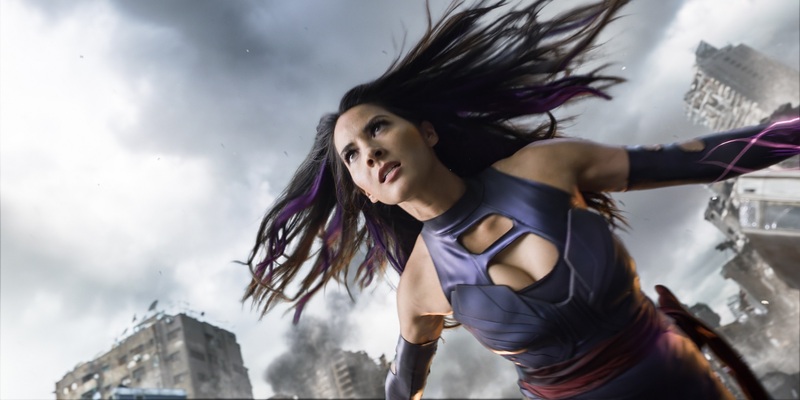 And Bryan and I were up in Montreal, and I said, ‘You know, Olivia Munn could be an interesting Psylocke,’ so we went on the internet and Googled her images. And one of the first things that popped up was a piece of fan art of Olivia as Psylocke." It's funny to think McAvoy's Charles Xavier was almost the fourth Horseman of X-Men: Apocalypse if it weren't by sheer chance (and some fan art) that Munn finally found her way into the X-Men feature franchise. Munn looks to be quiet the powerful presence in the new movie, and while it might have been interesting to see Professor X grapple with some his own demons, it's probably for the best that he will remain firmly in step with the rest of his school for gifted youngsters. Until X-Men: Apocalypse finally sees theatrical release and general audiences can begin deciding for themselves whether or not the film is as problematic as early critical reaction has claimed, fans can also start imagining how the film might have fared with only three horseman to start with. Psylocke looks to be an intriguing villain to introduce to general audiences, and Munn should be able to bring plenty of tact and danger to her role as the fourth Horseman. X-Men: Apocalypse will open in U.S. theaters on May 27, 2016, followed by Wolverine 3 on March 3, 2017, and unannounced X-Men films on October 6, 2017 (possibly Gambit), January 12, 2018 (possibly Deadpool 2), and July 13, 2018 (possibly The New Mutants).